Winner of the International Critics’ Prize at the 1988 Cannes Film Festival, Terence Davies’ feature debut heralded one of Britain’s finest filmmaking talents. 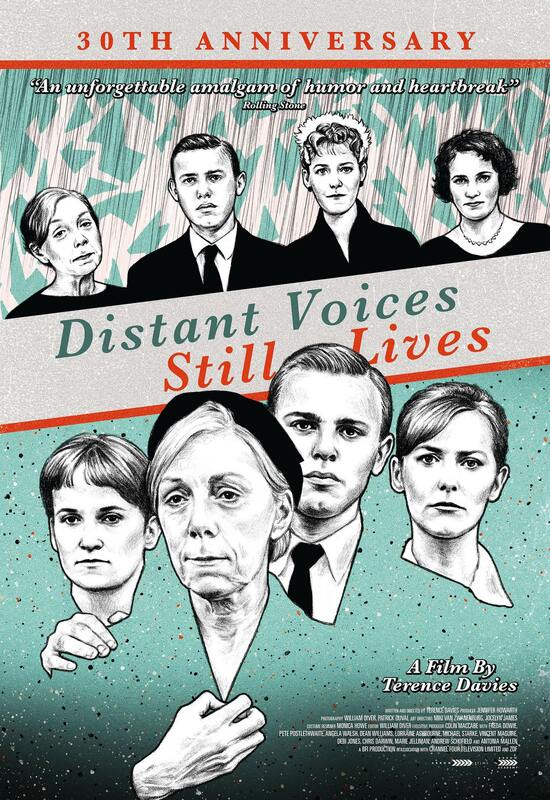 Loosely based on the director’s own family and upbringing, Distant Voices, Still Lives presents an evocative account of working-class life in Liverpool, England during the 1940s and 50s. Births, marriages and deaths – and an expressive use of music – provide the underpinning for a film that is beautiful, heartbreaking, resonant but never sentimental. Now regarded as a masterpiece of British cinema, and boasting a startling performance from Pete Postlethwaite (Romeo + Juliet, Inception) as the head of the family, Distant Voices, Still Lives has been treated to a glorious 4K restoration by the British Film Institute.